Oh, you mean Vinho Verde is actually good? Yes! 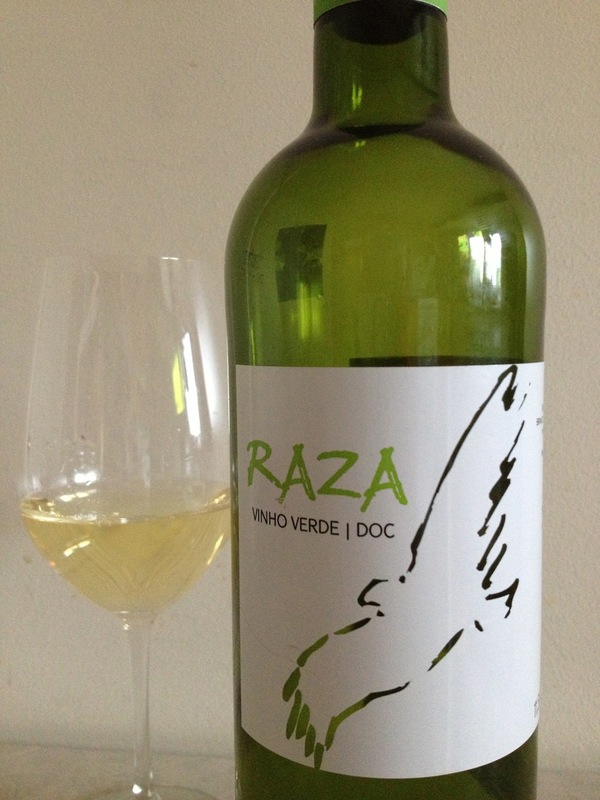 The third in a recent (unplanned) blog series of mildly misunderstood zippy/dry-white-wine categories that most people take for granted, my Portland Press Herald column a couple of weeks ago expressed pleasant shock at how interesting Vinho Verde could be. I’d had no idea. But as always, it’s gottabedoneright. A lot of Vinho Verde is mass-produced by co-ops, from bought grapes that are held at low temperature from one year to the next. Hence, the absence of a vintage listing on that $5 bottle you plucked from the wine-shop cooler. The good stuff rarely comes to the U.S., though that might be changing. Michael Hutchinson of MatadorVino, whose Portuguese portfolio includes several estate-bottled Vinho Verde wines (white, red and rosé! ), told me all sorts of fascinating things about the region. (He also sent me a bunch of wines that I can’t wait to try and then write about, especially the organic and no-sulfur [!] ones). Speaking of that $5 bottle, I got little-to-no beef with it. But I was a bit surprised that Eric Asimov, whose New York Times wine column is usually a well-considered and insightful overview of a given wine category, chose in his recent Vinho Verde column to speak only of the cheap-n-barely interesting stuff. I gently called him out on this on the ol’ Twitter, and once the gracious Asimov retweeted that post, it led to a moderately lively exchange amongst a few folks. Bruce Schoenfeld, for instance, Travel + Leisure’s wine editor, tweeted: “The problem is, those small-batch VVs (and I’ve had plenty) run the flavor gamut from A to about D. Scant complexity.” I like the comment, but disagree. Which small-batch VVs has he had? I’d say the gamut is more like A to J, which is pretty damn good for $10 wine! Bestill my heart, Eric Asimov’s wine column in this week’s New York Times is about Spätlese Rieslings. There’s not much for me to add to it here; just read the damn thing. His central point is the one we’re all sick and tired of repeating: People are unreasonably afraid of sweetness in wine, holding wine to a foolish double standard they don’t apply to their food (duck? squash? scallops? root veggies? ), soda, beer or even wine (California Pinot noir, anyone? Viognier?). When sweetness is balanced as well with such braced, taut acidity as is well-made German Riesling, there is no more transcendent experience in wine. Serious. Also, note that about half of the wines Asimov and crew recommend are imported by one of my all-time heroes (not wine heroes: life heroes), Terry Theise. Terry will grace our fair city (Portland, Maine) in December, signing copies of his crucial new book, Reading Between the Vines, at Rabelais, and hosting a dinner at Bar Lola. If you plan on celebrating Thanksgiving this year, that’s all the more reason for you to get into Rieslings. A couple of years ago I wrote a still-relevant “manifesto” of sorts, about Riesling, that has proven helpful for some people. Let me know if you want a copy. You are currently browsing entries tagged with eric asimov at soul of wine.